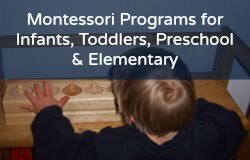 What is the Purpose of Montessori Pouring Activities? My daughter loves pouring water, especially to make drinks or cooking for instance. Do I just keep her doing this same thing or is there something I can add to make it more difficult? Do I need to make it more challenging and what is the purpose of the activity apart form the obvious? The pouring activities are part of the Practical Life area of a Montessori environment. They are typically most popular with two- and three-year-olds. "Exercises in Practical Life fulfill the child's need for independence. The child needs to adapt the need to a purposeful motor activity; and he needs to repeat that activity until he reaches perfection. All exercises have a three-fold aim. They must reach the whole person; that is, they must reach the physical, mental and spiritual." --From my Montessori training manual by Ursula Thrush. "All the practical life activities, in addition to improving hand-eye coordination and muscle control, are designed to increase the child's ability to concentrate [and to also go from left to right, and from top to bottom]....Preparation for reading and writing is [also]...taking place during this period [the sensitive period for language] in more indirect ways....and is part of the planned curriculum....it may not be as obvious how such activities as scrubbing a table can contribute to the child's readiness for reading and writing." --From Montessori on a Limited Budget by Elvira Farrow and Carol Hill. 2. One small pitcher and a glass or a cup the same size as the pitcher. 3. Two small matching glasses or cups. 4. One small pitcher and a small vase or saki container and a small funnel that fits in the opening of the vase/container. The progression to smaller and smaller pouring material can happen over one to several months, depending on age, ability, and interest of child: if the child is under two, stay with larger material for several months. A good rule of thumb: if child spills a lot, do not change size of pouring material. This is a favorite activity for three year olds! Use two small bowls, one filled with beans or rice or couscous, and a spoon. Spoon the material from left to right, then back again, from right to left. Remember to sweep any spills! 5. One small teapot and one small tea cup (children usually like to drink the water). 6. One small teapot and two small tea cups (children usually like to drink the water). This is a favorite activity for three year olds! Use two small bowls, one filled with water, and a spoon. Spoon the water from left to right, then back again, from right to left. The children like to sip the water from the spoon. Remember to wipe any spills!